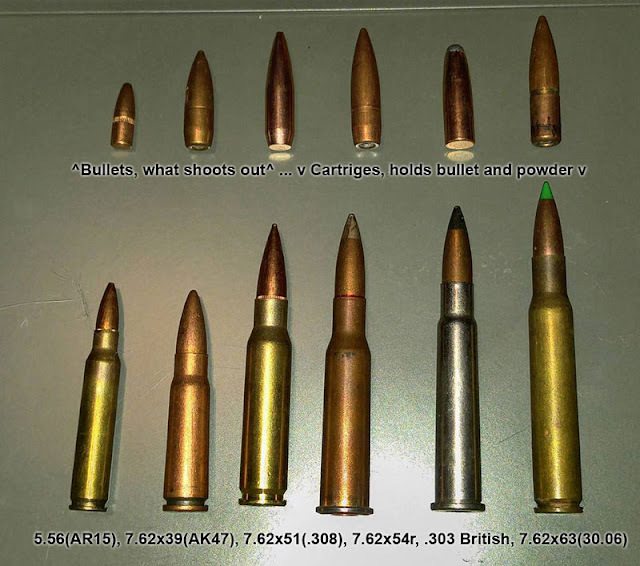 5.56 mm, 7.62 mm, 9 mm, 10- and 12-gauge, .22 Caliber, .30 Caliber, .38 Caliber, .45 Caliber, .300 WinMag and .50 Caliber. 5.56 mm cartridge is used in the M16 Rifle, M4 Carbine and M249 Squad Automatic Weapon. The 7.62 mm cartridge is used in the M240 Machine Gun, as well as the M24, M110 and M14 Enhanced Battle Rifle Sniper Rifles. The 9 mm cartridge is fired in the M9 Pistol. The M2010 Sniper Rifle uses the .300 WinMag cartridge. Visual Color Code and ID Guides-These are just a few useful charts for the identification of various military production ammo cartridges and bullets. 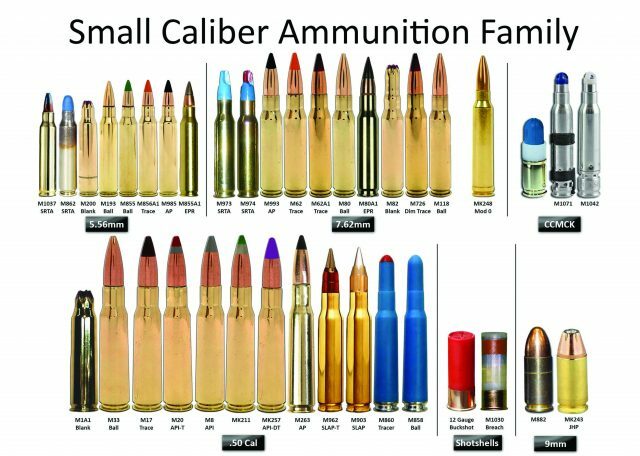 Color identification is helpful in classifying surplus ammunition.Pictures may not represent actual size.